Growth of blood vessels (red) enables implanted human ectopic artificial livers (HEALs) to grow and function in the mouse. 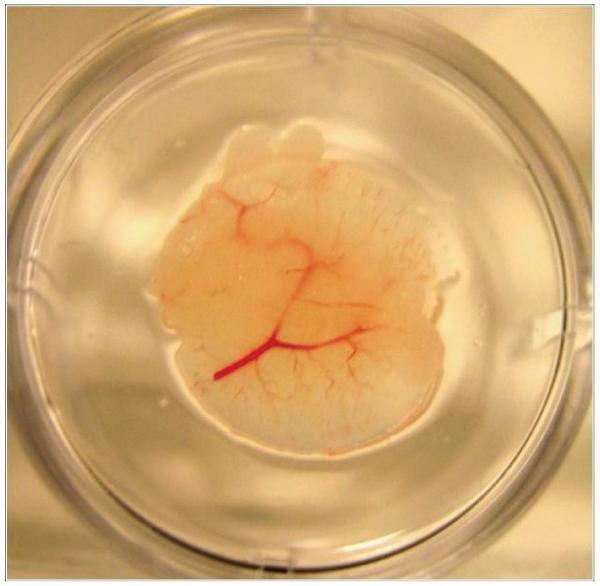 This miniature human liver was removed from a HEAL-humanized mouse. Mice implanted with these organs are particularly useful for monitoring drug metabolism, drug-drug interactions, and predicting how certain drugs can damage and destroy the human liver.